Domain Cost Increases are here to stay! The world of domains are now costing more! 2014 has seen an increase and that increase is going up in 2015. Due to the rate increase by the world leader of domain name registrations, all domain names will cost an average 25-50¢ more as time marches forward! Each year, your low annual bill of $27.95 which covers the cost of your domain along with the managed support we provide including a year of privacy support, dns and mx record support. If you get your own domains through other registries, such as GoDaddy, HostGator, InMotion, Dotster, Netfirms or Network Solutions and others then you can have Managed Domain support for only $10 a year. 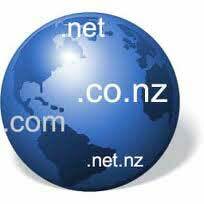 Contact your hosting master today about your domain name management. Don’t get caught with your domain information incorrect. This can cost the loss of your domain! When you order a domain, pay for it for multiple years. This is favored by Google because it shows you are a business that is planning to be around for time to come. Most registrars will allow you to purchase a domain at today’s prices for up to 10 years. This means no matter where the domain names rise to, your costs will be locked in.